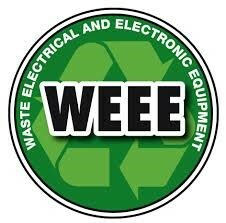 All our online appliances are new with guarantees from 1-10 years. Trade enquiries welcome. Please refer to shipping tab below. Delivery arrangements are flexible. or pop in to our workshops or showrooms. 12 Place settings. A++ Energy rating. 47 Db max noise level. 19hr delay timer. 4 programs. Variable temperature. H850 x W600 x D600 mm. 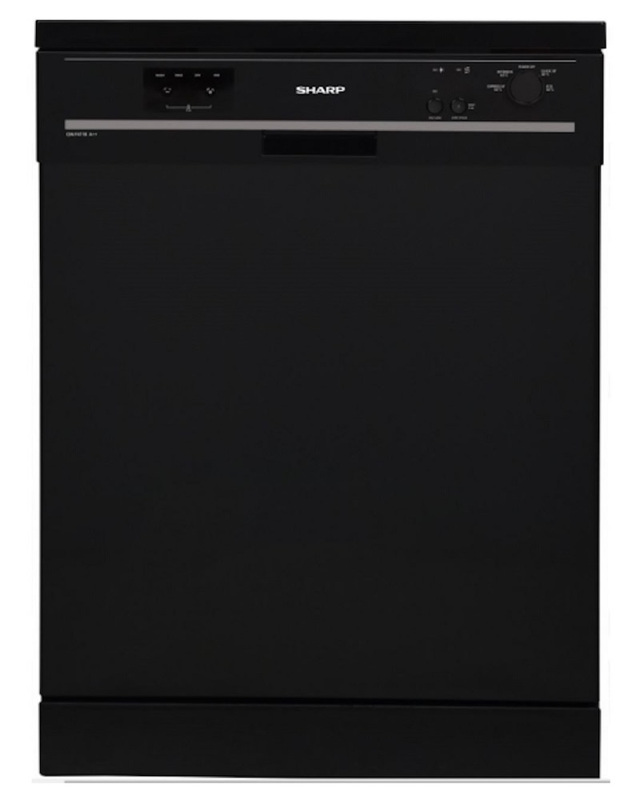 The Sharp QWF471B dishwasher is an ideal choice for a busy household. Packed full of energy and time saving features with an A+ energy efficiency rating that will save you money on your electricity bills from running it. It comes equipped with a microban coated filter that is designed to repel harmful bacteria and prevent any build ups in your appliance. 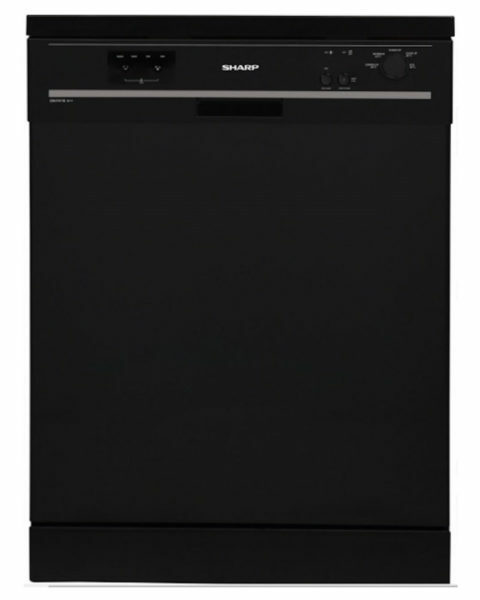 Most important of all, the Sharp QW-C13F471W dishwasher offers a superb and efficient wash and has been rated with a double A for its performance – one for the wash quality and the other for efficient drying of your dishes as well – so you can put them straight into the cupboard or back into use. Sharp take a pride in the reliability of their products and of their warranty service performance. They promise a 24/7 customer service line, and usually next day service calls. If they can’t perform a rapid fix they say they will replace the entire machine. That’s the kind of peace of mind you don’t have with many of the bigger brands.